Submitted by mahoney on Mon, 04/04/2016 - 2:40pm. 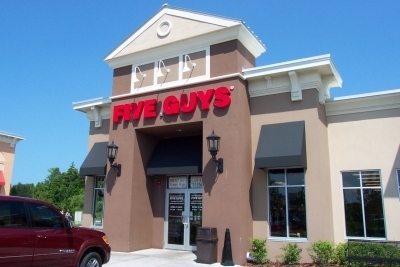 Five Guys Famous Burgers & Fries restaurants in US address & phone #. from their website. Originally submitted by DaleWicks. Maintained by Box Car 10/26/2011-12/16/14. Currently maintained by mahoney. Updated the file. Net increase of 18 locations. Updated the file. Net increase of 23 locations. Submitted the correct coord for the location 8031 Turkey Lake Rd [ste 101], Orlando,FL 32819. Complete update of file. Net decrease of 9 locations.